The London Coliseum (also known as the Coliseum Theatre) is a theatre on St. Martin's Lane, central London. It is one of London's largest and best-equipped theatres and opened in 1904, designed by theatrical architect Frank Matcham (designer of the London Palladium), for impresario Oswald Stoll. Their ambition was to build the largest and finest music hall, describe as the 'People's palace of entertainment' of its age. It is currently the home of the English National Opera. The inaugural performance was a variety bill on 24 December 1904. In 1911, dramatist W. S. Gilbert produced his last play here, The Hooligan. The theatre changed its name from the London Coliseum to the Coliseum Theatre between 1931 and 1968 when a run of 651 performances of the musical comedy White Horse Inn began on 8 April 1931. It reverted to the original name when the Sadler's Wells Opera Company moved there in 1968. The Company changed its name to the English National Opera in 1974 and bought the freehold of the building for 12.8m pounds. From 16 June 1963 it became the second of London's three Cinerama Theatres, first showing the 3-strip version for the first 5 months, then 70mm single strip film was shown until 22 May 1968 when it screened its final movie. It has the widest proscenium arch in London and was one of the first to have electric lighting. It was built with a revolving stage although this was rarely used. The theatre retains many of its original features and was Grade II listed by English Heritage in September 1960. The design team for the refurbishment was RHWL (architects), Arup Acoustics (acousticians) and Arup (building engineers). The theatre hosted both the 2004 and 2006 Royal Variety Performances, in the presence of HRH the Prince of Wales. The nearest tube station is Leicester Square. 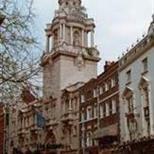 Located in the heart of the West End, the London Coliseum is situated on St Martin's Lane, London WC2N 4ES. It is advised to use public transport where possible. Buses 3, 6, 9, 11, 12, 13, 15, 23, 24, 29, 53, 77a, 88, 91, 139, 159 and 176. There is limited on street parking. The nearest NCP is Bedfordbury. There are two wheelchair spaces in the Stalls, two wheelchair spaces in the Dress Circle and four wheelchair space in the Stalls Boxes. Also, transfer seats for those who are able to transfer out of their wheelchairs, comprising four in the Dress Circle and six in the Balcony. They offer an enhanced sound system via headphones. To request this, please visit the Information Desk in the London Coliseum foyer. Blind patrons may not take their guide dogs into the auditorium, but the theatre management staff will be more than happy to look after them during the performance. For access information and to book, please contact the venue on 020 7845 9300.